Calling all synchro-skaters or skaters who’d like to be synchro-skaters! 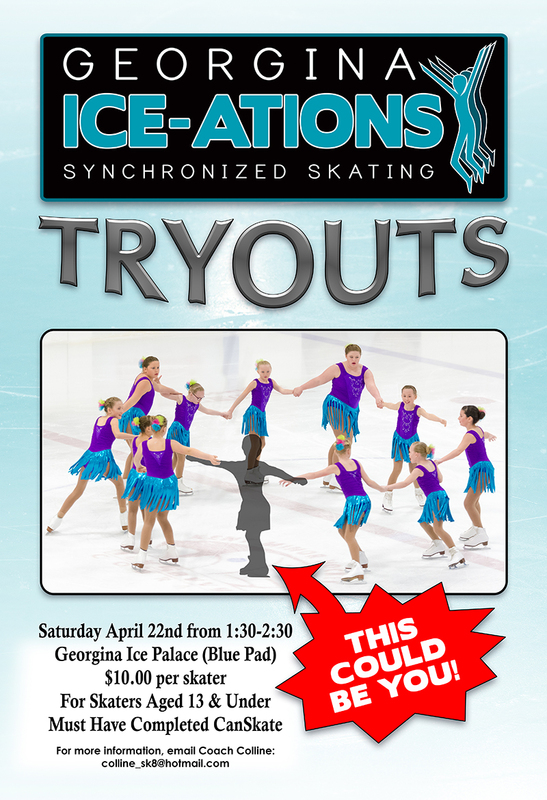 The Georgina Ice-Ations are holding tryouts on Saturday, April 22nd from 1:30PM to 2:30PM at the Ice Palace – Blue Pad. Skaters must be 13 years of age or under and have completed CanSkate. For more information, contact Coach Colline. This entry was posted in News, Synchro by qbv2q. Bookmark the permalink.